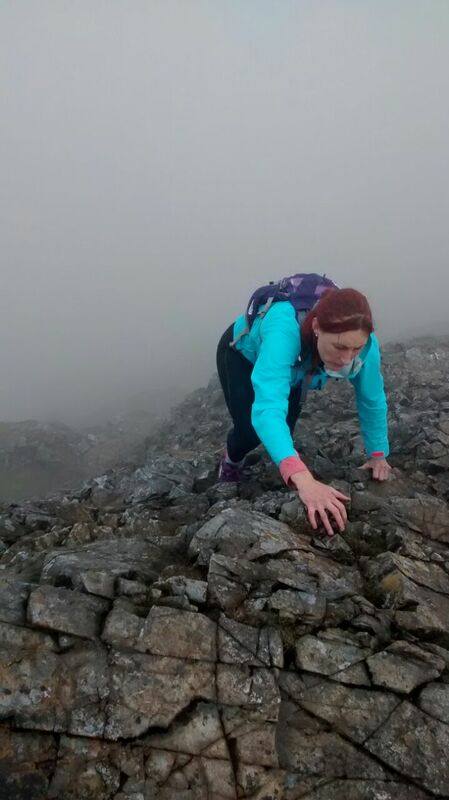 This entry was posted in Race reports, Trail running and tagged adventure, Fell running, Hiking, hill walking, outdoors, race, running, scrambling, Trail running, ultra, ultra running, V3k, wales, welsh 3000s, Women in adventure on June 25, 2016 by Anna Paxton. This weekend I planned to go away for a couple of nights to test my new ultra light tent and get some hill training in with Bo. The weather forecast was horrendous – wet and windy everywhere, so we decided a one night trip would be wiser. 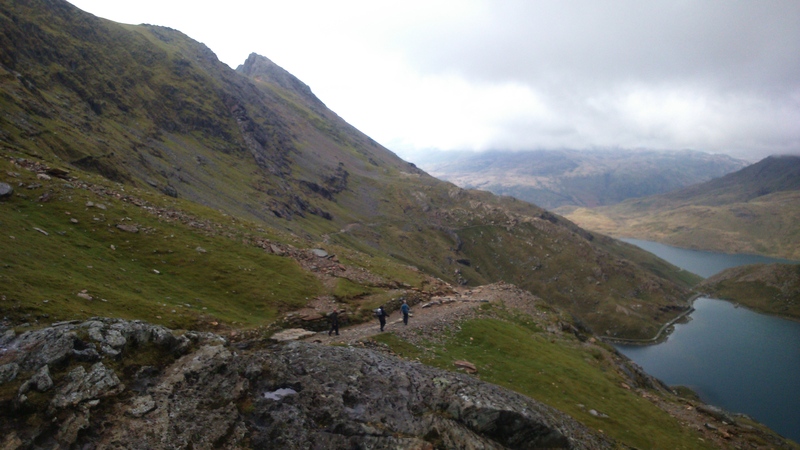 Short on time, our target was Snowdon, Wales’ highest mountain at 1085m. 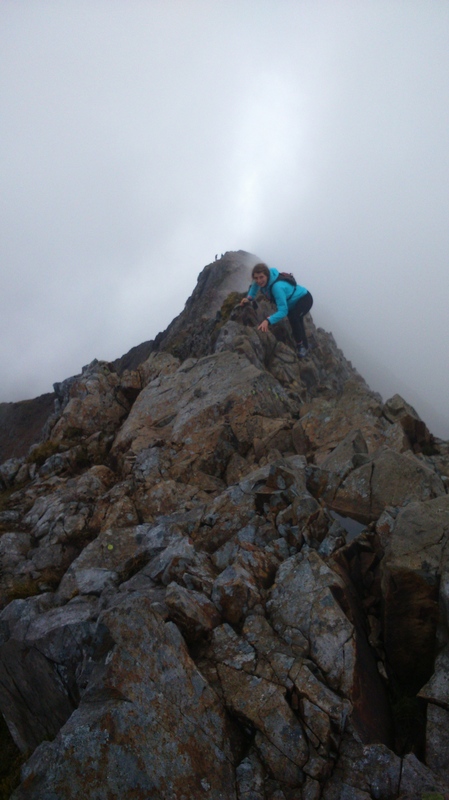 We planned to camp in the Llanberis Pass and run to the summit via the Crib Goch ridge. 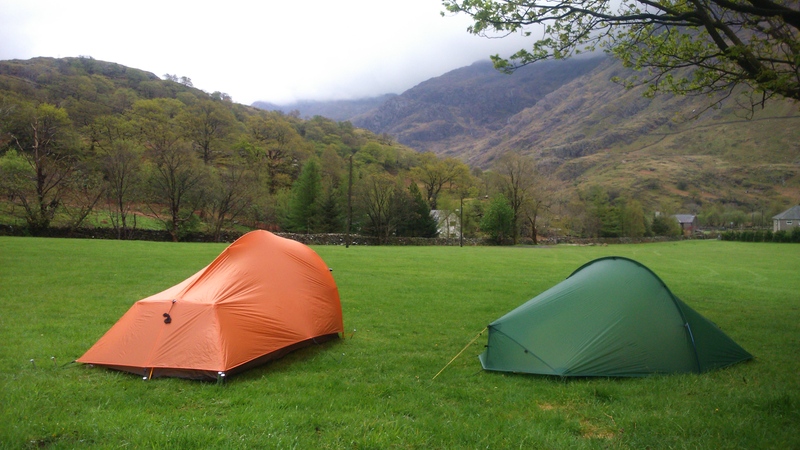 Arriving at lunch time we quickly put up our tents, the only ones camping in the extended garden of a farm in Nant Peris, a small village located at the bottom of the Llanberis Pass. From there we had a view up the pass to the ridge we would soon be on. Although it wasn’t raining in the valley and there was little wind, the top of the ridge was hidden by cloud. The steep sides of the Pass host some of the UK’s most famous rock climbing routes, and from the bus window we took the opportunity to admire the scale of the landscape. Looking up to the familiar shape of the Cromlech, there were no climbers to be seen on the open-book Cenotaph Corner, just darker grey smears of wet rock. Jumping off the bus we began running from the Pen-y-Pass car park. The well trodden trail trends steadily upwards over a mixture of polished rocks and sandy gravel, good running although not the easiest warm up. It wasn’t long until we reached the point that our route separated from the trail, the ground quickly got steeper and soon the only option was to scramble and climb. The Rhyolite rock is almost crystalline in appearance, formed from a series of small angular blocks that create large handholds and decent footholds. Scrambling higher we entered the clouds and I felt very aware that I was clinging to a steep surface with no ropes. My view obscured in all directions I could see nothing but rock dropping steeply away below, while more rock rose to an unknown and invisible point above. With Bo leading, the only way was up. Finally there was no more up, we had reached the ridge and there could be no worries about route finding. We scrambled happily along, keeping our hands high on the pointing tip of the ridge and our feet low on the blocky sides. I took a moment to enjoy the incredible position. Cloud cover was coming and going at this point, the steep drop on either side intermittently revealed, the lakes below scraps of tin foil reflecting the silver grey sky. Reaching the end of the ridge we laughed as we realised that we had clocked some of the slowest kilometres ever. Pleased to run again we joined the trail that passed the marker at Crib y Ddysgl, the second highest summit, then followed the train tracks leading the way to the busy Snowdon summit and cafe. After a quick dash to the actual summit of Snowdon we began a swift descent down the Pyg track which involved hurdling a few tourists. The terrain is perfect, stepped and rocky, not too steep, and a lovely long run down hill back to the Pen Y Pass car park. 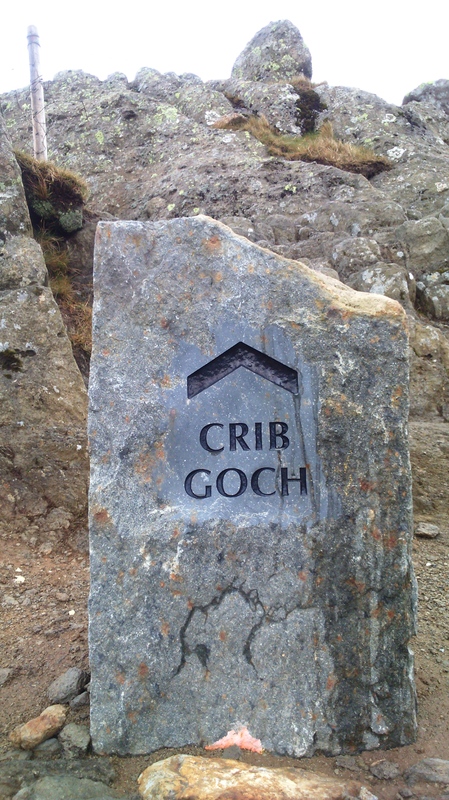 If you are short on time but want maximum adventure, Crib Goch is one of the best days out you can have. You can find more information about the route on UK Hillwalking http://www.ukhillwalking.com/logbook/hill.php?id=2032. 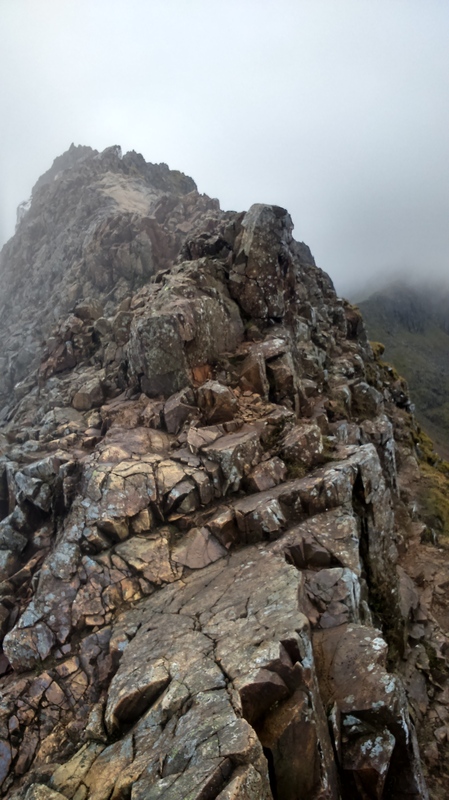 This entry was posted in Hiking, Trail running and tagged adventure, Camping, crib goch, Fell running, Hiking, Trail running, travel, wales, Women in adventure on May 13, 2015 by Anna Paxton.